JOIN US FOR OUR 3RD ANNUAL FAMILY FUN DAY FUNDRAISER! 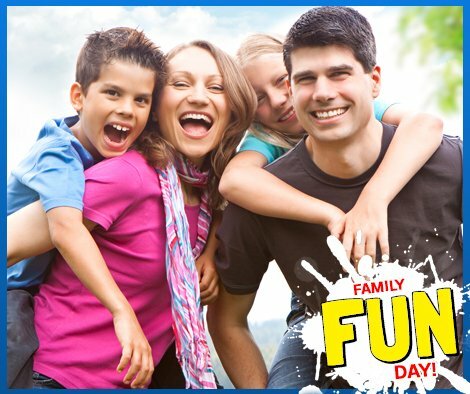 Everyone is invited to join us for a day that’s dedicated to having a good time together as a family! There’s so much fun to be had! Admission is free – please consider bringing a canned food to help supply their food pantry. The Rome Rescue Mission is a Christian organization committed to assisting the least, the last, and the lost. Many come to their doors seeking a warm meal, a loving environment, and a hope for a brighter future. The Rome Rescue Mission serves 200 meals per day and has an 18-bed shelter for women and children. They provide a means of hope by giving shelter to the homeless, feeding the poor, inspiring lifelong learning, and encouraging a personal relationship with God to everyone who is served. Monetary donations are always gladly accepted and appreciated. Donations can be made via checks mailed to PO BOX 337, Rome, NY 13440, or online at RomeMission.org.